This photo shows SC 110 at Charleston, SC. 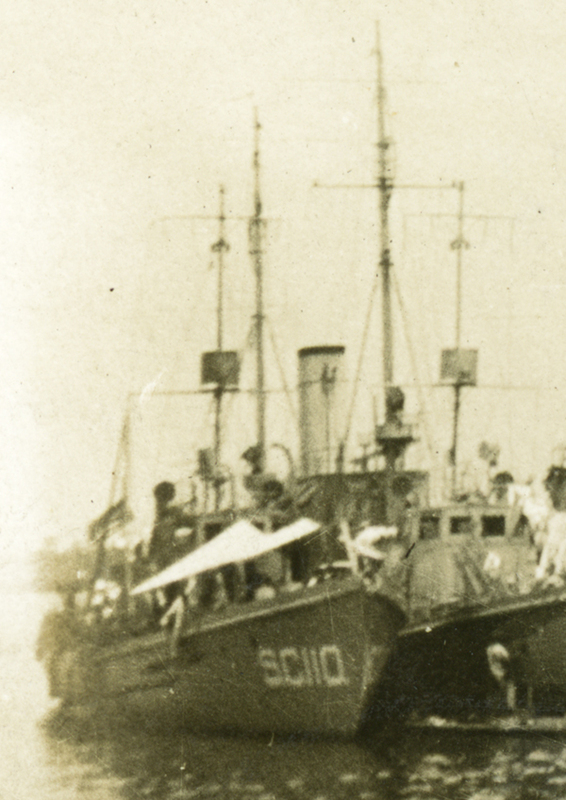 Photograph of SC 110, courtesy of Bobbie Miller, daughter-in-law of SC 208 crewman Henry Miller. Another photo showing SC 110. These six chasers were among those that served in the minesweeping operations in the North Sea. Thanks to Liz Phillips for sending in the scan. 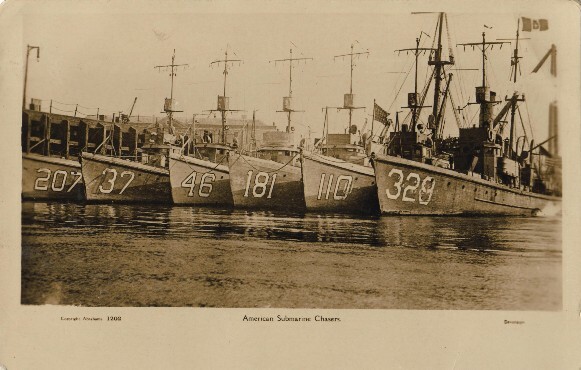 Photo: Postcard depicting SC 207, SC 37, SC 46, SC 181, SC 110 and SC 329 at Devonport.